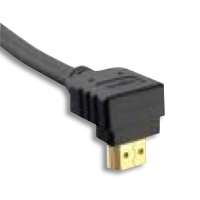 Right angled HDMI cables are Ideal for LCD TV's, Plasmas and all other applications with tight space requirements. Supports 1080P, 3D & 4k over HDMI. 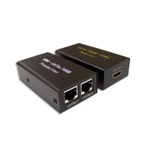 Ethernet Channel will allow ethernet enabled HDMI devices to share ethernet connections with other HDMI devices without the need for a separate ethernet cable. 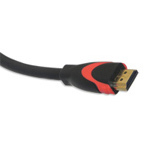 HDMI Extender by CAT-5e uses two pieces of CAT-5e cables to extend the HDTV display up to 30 meters. For Cat6 users only one cable is required.